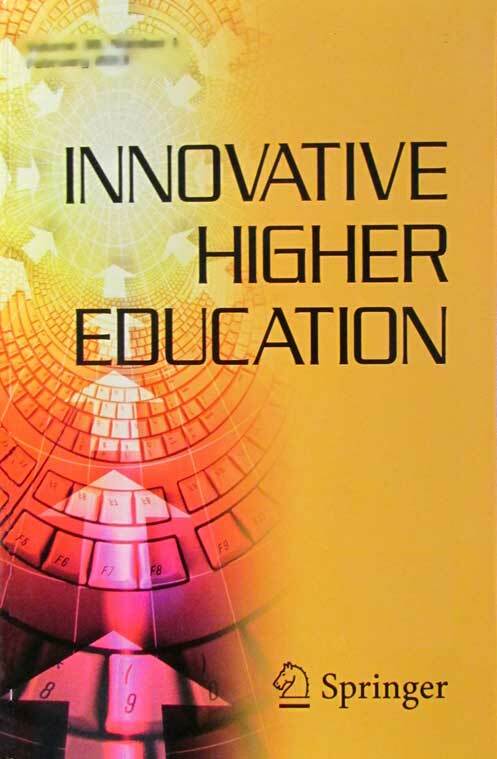 Innovative Higher Education is a publication of the Institute of Higher Education that has been published since 1975. It is a refereed scholarly journal with a distinguished and internationally-known editorial review board. To strike a balance between practice and theory by presenting manuscripts in a readable and scholarly manner to both faculty and administrators in the academic community. This journal is indexed in SCOPUS, Google Scholar, EBSCO, Academic OneFile, Academic Search, Current Abstracts, ERIC System Database, ERIH, Gale, Higher Education Abstracts, International Bibliography of Book Reviews (IBR), International Bibliography of Periodical Literature (IBZ), MathEDUC, OCLC, OmniFile, SCImago, Studies on Women & Gender Abstracts, Summon by Serial Solutions, Vocational Education and Training Abstracts. More information about Innovative Higher Education may be found at the Springer Press. Upon first receipt of a manuscript it will be reviewed for observance of the following minimal standards. A manuscript not meeting these standards will be returned to the author(s) for modification and will not be placed into the review process until these standards have been met. The entire manuscript must be double-spaced, including references. There should be no triple or quadruple spaces between paragraphs or sections. Page numbers should be placed in the upper right hand corner. All paragraphs should be indented with the "tab" key. Authors are also reminded to be attentive to the requirements of APA style and to review the "tips for authors" section under the "Submission Guidelines" found on this web site. Inquiries about Innovative Higher Education may be sent to kaygi@uga.edu. For subscription information contact journals-ny@springer.com (for the Americas) or subscriptions@springer.com (outside the Americas).